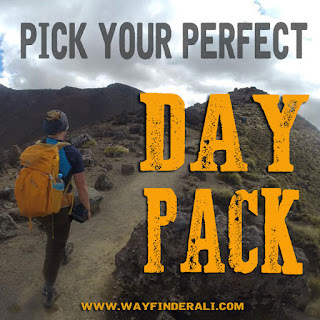 Are you shopping for a day pack but feel overwhelmed by all the options? Will you be buying your first day pack? With so many packs on the market right now, choosing the right one can be tough. This post will help you make a decision with confidence and save you from buyers remorse. I have owned and used lots of day packs over my 10 years teaching outdoors, in a wide variety of activities and conditions. 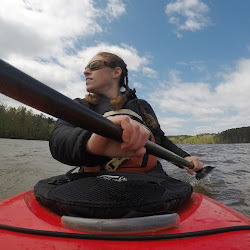 I've learned the best features for different activities and environments. What, Where, When and For How Long? 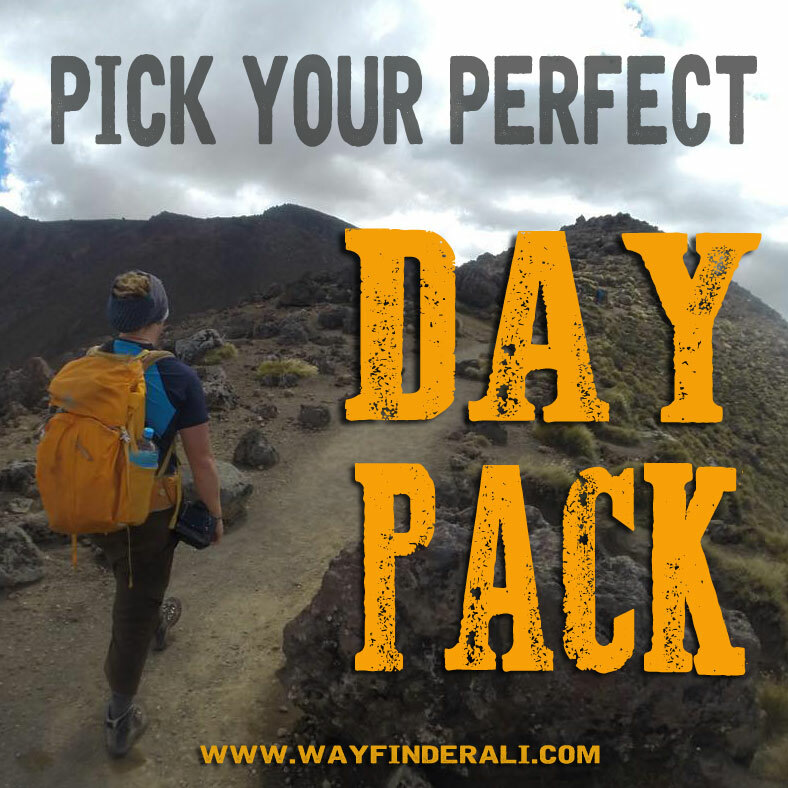 These are the questions that will help you decide what size day pack you need and what features will serve your needs best. Where you plan to go is important when choosing a pack. Do you live in a super hot climate? You might want a bag with a nice mesh back panel to keep your back cooler and drier. If you're headed out during the winter, a bigger bag will accommodate bulky winter clothing. 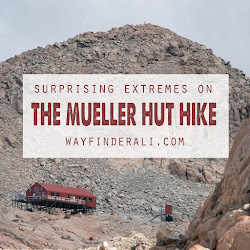 It should go without saying that a 12 hour hike requires more food and more water, so you need more room! Backpacks will be labeled with two sizes- the torso size and the carrying capacity. Torso sizes are labeled small, medium, large and come in women's and men's versions. Carrying capacity is numbered in liters or cubic inches. The torso size of the pack refers to what size human the pack fits. Torso size matters when your pack needs to carry more than 8-10 lbs. Your torso length is the distance from the top of your pelvis to your C7 vertebra. 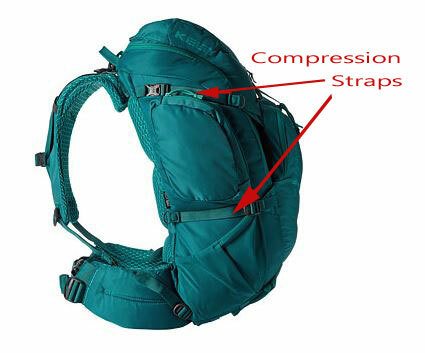 Most pack manufacturers use the sizing system small, medium and large for their packs and publish the range of torso lengths for each size. Why does torso size matter? Your spine is actually the largest and most complicated joint in your body. One of its many functions is to absorb impact from walking, running and jumping. If you carry the weight of your pack on your shoulders, not only will you be uncomfortable, but it is bad for your spine. 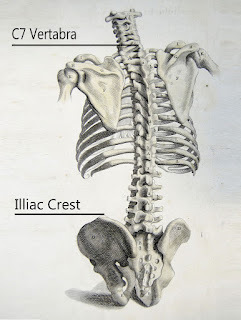 The illiac crest is the top of the pelvis and the place where our bodies are really good at carrying weight. You've probably noticed mothers like to use this spot to rest children they are carrying. The torso size of a pack is the measurement from hip belt to the shoulders- and correspond with the measurement from the illiac crest to the shoulder which is at the C7 vertebra. Imagine for a moment that you are standing on a ladder. Your legs hold your weight, and your arms keep you from falling off the ladder. Now think of a pack. The hip belt holds the weight of the pack, and the shoulder harness keeps the pack against the body. You should not feel any downward pressure on your shoulders. If the torso size of the pack is incorrect, the shoulder harness will be too high or you won't be able to get the weight onto your hips. Men's vs Women's- What's the difference? Purple pack = women's medium. The other major difference is color selection. There is no reason a taller woman with larger shoulders couldn't wear a men's pack, or a smaller man with narrow shoulders carry a woman's. Advantage: Allows you to distribute the load to your hips, keeping your back and shoulders from hurting. You can carry heavier loads with a frame. Panel Loading: Has a zipper over the top and opens like a school backpack. Top Loading: Has a drawstring at the top and typically either a 'lid' or a brain' that closes over the opening. Opens at the top with a drawstring means you can cram more stuff in there. Having a "brain" (a pocket on the top of your pack with a zippered access) on the top of your pack allows you to put small things within reach without taking your pack off. Many top loading packs don't have side zippers to access stuff quickly, so if you need something toward the bottom you'll spend some time digging. Compression straps are absolutely crucial. They also keep the contents of the bag from grouping at the bottom of the pack, forming a heavy ball at the bottom. 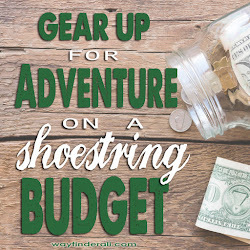 Are you carrying lots of little things that you want to keep organized? Do you need fast access to a variety of items? If you answered yes to those questions, look for packs that have lots of external pockets. Lots of daypacks these days have fantastic mesh panels against your back, which keep you cool and comfortable in hot weather, or if you're just a sweaty person. To get the most airflow, you'll want a pack with a good strong frame. If you think you might be carrying large stuff that won't fit in your pack- like a tripod, or you're planning to push the limits of your pack's carrying capacity, you'll want to look for bags that have either external lashing straps or loops / MOLLE to attach your own straps or pockets. Did you enjoy this post? Do you find my blog helpful? Buy me a coffee to help me keep this blog going!